The mammalian expression system plays a key central role in the production of therapeutic recombinant proteins. Conspicuously, any improvements in the expression system which lead to a higher expression level would have an impact especially in bio-pharmaceutical industries. In the current study, to take steps toward the improvement of expression of recombinant protein, first, we established a stable HEK293 cell line to overexpress a well-known cytoprotective and antioxidant gene, Nrf2. Next, we transiently expressed human recombinant coagulation factor VII, as an example of human recombinant protein, in the engineered-HEK293 cell line. Our results revealed that the established cells had a higher growth rate and were able to endure to UV-induced oxidative stress. Furthermore, within our expectation, our results revealed that the expression level of recombinant FVII in Nrf2-engineered HEK293 cells (315 ng/ml) was higher than the HEK293 (198 ng/ml) cells and it was functional in a coagulation test assay. 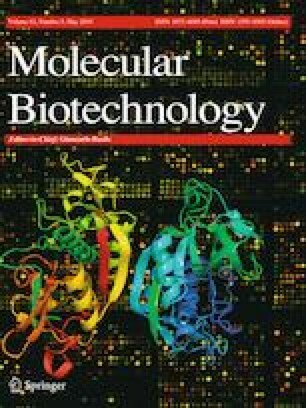 Moreover, our new cell line could be a suitable cell to express other recombinant proteins especially for large-scale production of recombinant protein under other culture condition such as lower serum and suspension culture that imposed advantages especially in terms of cost benefits in bio-pharmaceutical industries. This study was supported by the Blood Transfusion Research Center, High Institute for Research and Education in Transfusion Medicine, Iran, Grant No. 1395-01-33-1933. ZAb, FA and MM collected all data, samples and also accomplished all cellular and molecular tests. MHR controlled and managed the project, wrote the manuscript and finalized it. All authors revised the article carefully and confirmed the edited version of the paper. There are no ethical problems for this project. https://www.rxlist.com/novoseven-drug., N. c. f. v. r.
Invitrogen Corporation, C. CA, http://www.invitrogen.com.